Its been a month since my Magnum Stealth Force 6.0 unboxing post which you can find here. 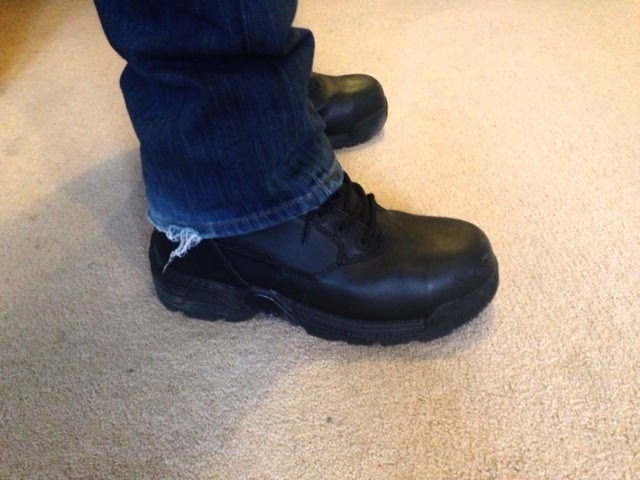 Paul has been trying out his new Magnum safety boots for work for the past 4 weeks now, and he has lots of positive things to say about them! At first he was a little dubious, his first comment was that they would be like any other safety work boot; no different from the ones he wears now (work supplied)! - how wrong was he, and he was pleasantly surprised. He manages a builders yard, from 10 to 12 hours a day every day during the week, and some Saturday mornings. He needs and relies on comfortable safety shoes, to get him through his work day. He also needs them to look smart and clean. 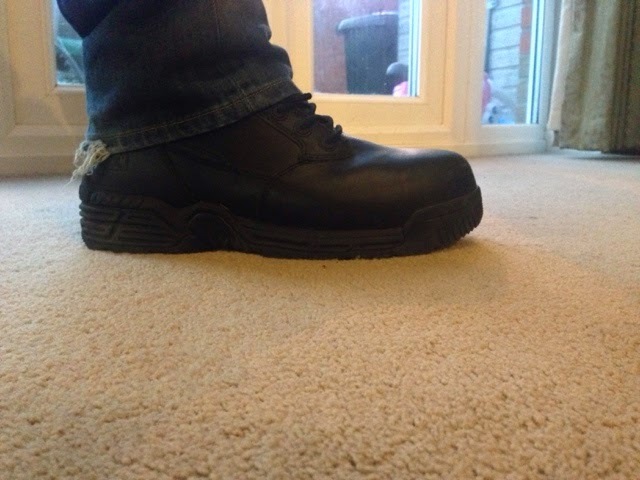 The first time he tried on the Stealth force 6.0 boots he liked how light weight they felt off and on, and he especially liked the side zip for ease to get the boot on and off. After wearing the Stealth force 6.0 for the first day at work he came home to tell me how amazingly comfortable they are. They are surprising light weight, which makes for a much comfortable wear. Memory foam insole makes these boots instantly comfy and they stay comfy all day. So when working in the yard all day, up to 12 hours sometimes I do not have to worry about my feet hurting. They're kept cushioned by the insoles. 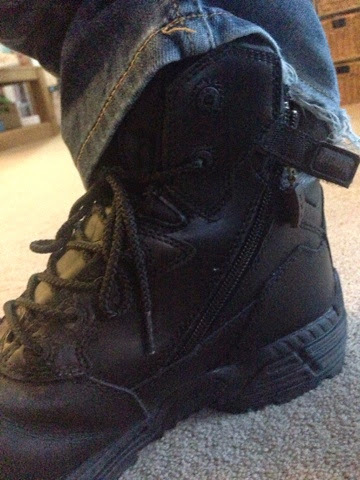 The side zip makes it so much easier to get on and take off - without fiddling with the laces - especially if you are tired and just want to pull your boots off after a long day's work. Waterproof, they keep your feet dry. The boots are durable and long lasting, I can see these boots lasting years. 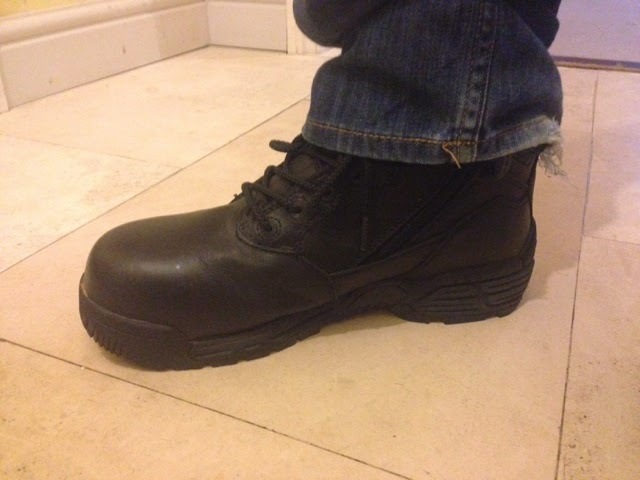 Paul's conclusion: I have worn a lot of work boots over the years, but never worn the Magnum brand and I have to say these are the most comfortable and probably durable boots I have ever tried. They are a pleasure to wear and I would freely recommend these to anyone in need of safety boots. These boots are now just £99.99 which you can order from the Magnum website and with free delivery. Disclaimer: We were sent these boots free of charge for the purpose of this review. All opinions are honest and our own.